That crazy 84 year old nun Megan Rice is at it again. Three years in the jug for breaking into a nuclear weapons complex and defacing a bunker holding bomb-grade uranium in Oakridge, Tennessee. Megan is the best the Catholic church offers and as Pope francis, she has the smell of the sheep on her, a stench which few of the boys in purple can claim. Born to privilege in Manhattan, a doctor father and an amazing mother who did her PHd on Catholic views on slavery. They were “Catholic Worker” catholics who counted Dorothy Day among their friends. Each year the center leads a prayerful expedition into the heart of darkness at the infamous Nevada Test Site, the very spot the nuclear age was spawned. “The U.S. government is spending too much money on weapons and the military.” What an understatement! She told the judge about the many letters of support she had received, including one from youth in Afghanistan. “This is the next generation and it is for these people that we’re willing to give our lives,” she said. 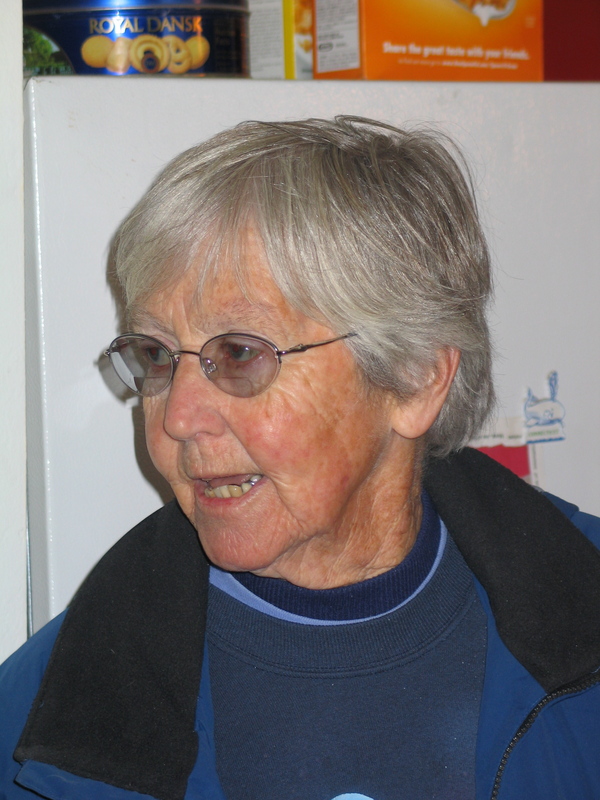 Sr. Mary Ann Buckley, head of the American Province of the Society of the Holy Child Jesus supported Sr. Rice. “Our Society has a history of standing up for those in need,” Sr. Buckley added. “We are dedicated to helping women, children and families by providing educational, spiritual and social programs across four continents and throughout the United States. We intend to stand by Sister Megan and our Church’s clear teaching against nuclear proliferation as the current situation is resolved. Maybe Rome and the American bishops could “stand by” such a witness. The Canadian news likely shows a big escalation since yesterday. Without warning, without a demand to clear the square, armed troops surrounded the square and started to push through a few barricades. As people were running from the barricades to protection, they shot at them from behind as they ran. Five were killed and their bodies left on the road. It is said that the forces have only rubber bullets. People dig up the cobblestones from the road to throw at the special forces. They burn tires to create a smoke barrier and they throw Molotov cocktails from a distance. The troops are using guns, stun guns, flare bombs, water cannons, and also Molotov cocktails. Plain clothes troops have pistols. People come running when violence flares, not to fight but to stand together. Kievans came and this is why the forces blocked all access to the square. Nonetheless, 30,000 got through. The government said there is no state of emergency, but they shut down the subway system, and closed all highways to Kyiv. People come from all over the country in solidarity when the government acts stupidly. There are lines kilometers long on the highways. No one has weapons or receives money for this. But the government knows that a large crowd ruins everything for them. They are advertizing that there are only terrorists on the maidan with guns and other weaponry, which no one has ever seen. No gun shot has ever been heard or seen from the side of the demonstrators. TV cameras and mobile phones record everything, every hour of the day and the night for three months. They show the demonstrators throwing cobblestones and cocktails. And they show the troops firing rifles continually, plus the stun grenades, flash bombs, and smoke bombs. And they show them physically truncheoning any demonstrators they can catch, beating them to unconsciousness. They set a building on fire which demonstrators used to get warm and store food. This is all on camera. Then they blamed the demonstrators for burning a valuable building and promise to jail them. The new key word is “terrorist”, which allows the government to use more extreme measures. They are demanding that the terrorists give up the weapons and turn themselves in to the law for punishment. They are simply not even good liars or manipulators of information. Foreign diplomats see everything, and are often on the sqaure. About twenty people have been killed, among them 2 police officers. Yesterday evening, the government unplugged the only 24-hour news station that has its cameras on the square. The evidence is so plain. The facts undermine the government. After shutting down the network, the Ministry of Internal Affairs (police) wrote on their website that the terrorists shot their own to make the government look bad, that the troops have no guns and are not firing, and that the terrorists are trying to overthrow the government. It is hard to imagine how they can do this from a standing position on the square. The news channel found another means to broadcast and is up again this morning. Unfortunately, the people are beginning to react with violence now. Three months of government attacks, violence, and lies. Every time there is supposed to be a discussion leading to a resolution, like yesterday’s alleged discussion about changes to the constitution, at the very same moment the government attacks. It is as though to catch the demonstrators off guard, but everyone sees the lies and manipulations. The government, which had little popular trust in the first place, has none now. Among the peaceful, some are giving up on peaceful means. It is not wanton violence but there is violence against buildings associated with the president: his party’s offices, administrative buildings under his jurisdiction across the country, some police buildings. It is far from over but the denseness, fear, and dishonesty of the president and his crew are making things worse with every decision. Even today, it would be so easy to turn things around, but, as Jesus cried at the walls of Jerusalem, these people simply cannot figure out what leads to peace. Priests are on the square with the people. There is public prayer every hour. As an aside, during this period, about 30 still standing statues of Lenin in towns and villages have been taken down or destroyed by local people. We are still paying the price for the mediocre bishops parachuted into major sees by JPll and Benedict XVl. Good word parachuted—with literally no input from longsuffering Catholics who believed in Vatical ll and “the signs of the times” These company men are still fixated on pelvic orthodoxy. And absolutely out of it when it comes to the greatest moral calamity facing us—a real “sign of the time”, the cry of the earth and climate change. In Toronto we hear not a peep out of the local bishops on this issue of signal, overwhelming importance. 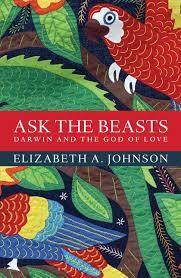 Johnson had wigged out US bishops when she dared write about the ultimate mystery in her Quest for the Living God and She Who Is. Fordham, her Jesuit employer, stood right behind her and the great woman has moved on —to the earth and sentient life. Loving life on earth is not foreign to Christianity. Indeed, it is supported by the tradition’s beliefs about God as these are revealed in Scripture and condensed in the creed. (I expand on this in the central chapters of Ask the Beasts, where I discuss the sacred character of the natural world in light of the indwelling of the Spirit, the incarnation of Jesus Christ, and the Creator God who is the beginning and goal of the universe.) Still, critics have rightly censured Christianity for long abetting the ecological crisis. Indeed, with some exceptions, Christian churches often choose not to face this calamity with the energy they spend on other matters. It’s as though the planet were undergoing its agony in the garden, and we, the disciples of Jesus, are curled up fast asleep. Waking up to our own role in this crisis will require a dramatic course correction, a reorienting of our ethical compass away from ourselves alone and toward all creation. In a word, ecological conversion requires profound humility. The reservation of the priesthood to males, as a sign of Christ the spouse who gives himself in the Eucharist, is not a question open to discussion,, but it can prove especially divisive if sacramental power is too closely identified with power in general. Poor Francis caught in a dilemma.. But priesthood —a step too far. “The legitimate rights of women be respected, based on the firm conviction that men and women are equal in dignity. This presents the Church with profound and challenging questions which cannot be lightly evaded. But female priests —not yet. Many people were disappointed with Francis Maybe this is a bit naive. A sitting pope can hardly be expected to contradict his two predecessors who were both over the top with their “nyets” to female ordination. Anybody with an understanding of church history should know this. In the hierarchy of truths a church discipline can be changed. As Pope John 23 said he could waive celibacy wit a snap of his fingers. 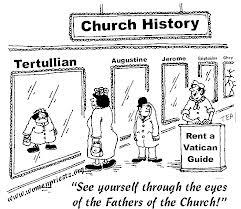 Interesting—the Church–but who is the church?.Not JP ll and/or the bishops. They are a a very tiny part of the church. The sensus fidelium will decide otherwise. Most Catholics particularly in educated realms have already accepted the total equality of males and females. Institutions however will always lag. The time bound utterances of church giants like Augustine(d.430 CE) (”Women are not made in the image of God),Aquinas (d 1274) (Women are misbegotten males,incomplete beings” etc) should be seen for what they are, reflections of an earlier epoch. Forgivable and hardly binding. Harm will be one and is being done. Priests who have stated the obvious rights of women to all seven sacraments and every church office males are heir to, men like ex Maryknoller Roy Bourgeois and now Irish Redemptorist Tony Flannery are the first of many sacrificial sacerdotal l lambs being led to the slaughter on false charges. WHO CAN FIGURE NEIL YOUNG OUT? He ponied up for his support of First Nationas and trashed the tar sands in his Honour the Treaty tour and now he’s set to play Israel, apparently unaware or doesn’t give a damn about another exploited people the Palestinians. Neil there is a cultural boycott of Israel. Have you not heard of it? Eric Ritskes, is currently a 3rd year PhD student in Sociology and Equity Studies OISE (u of T).e also edits an open access journa for critcal indigenous and decolonization studies, He recently wrote a letter to Young for using his celebrity status to raise the issue of the Harper government’s appalling desecration of the natural environment in the Tar sands. Ritskes wrote that “your connection of these problems to the oppression of Indigenous peoples, is to be respected and appreciated. There are reports that, this summer, you plan to play a concert in Israel. The Israeli state is also built on forceful occupation, genocide, containment and the stripping of basic human rights of Palestinians (the Indigenous people of that land). the ongoing oppression of Indigenous peoples in Canada parallels the ongoing oppression of Indigenous peoples in Palestine. Israel is also called an apartheid state, including by those in South Africa that experienced the infamous Apartheid there. Military checkpoints, forced separation, forced evictions, destruction of land, and daily assaults by the military and settler para-military organizations are just a part of it – Indigenous Palestinians are under suffering under an unjust state. Will Neil show up and tell the Israelis to give their heads a shake ans smell the coffee. Will he use the occasion tot ell them that they are almost universally seen as a global pariah for their ongoing illegal occupation of Palestinian land and their daily oppression of another group. My friend Monica kept me abreast of her friends’ the Siddall family’s heartbreaking travail as they supported their youngest child Kevin as he was dying of lymphoma. On Saturday his funeral mass was said in Windsor’s Corpus Christi church. Just reading the story of this remarkable family brought me to tears. On the other hand, the overwhelming love and support for Kevin and the family showed the depth of compassion and love out there in all human communities. There is resurrection. On the same day i read about the Siddall funeral I read about the shocking death toll in Iraq, the bizarre gift of thoughtless empire politics, namely Great Britain, namely Bush and Blair. 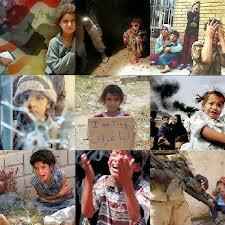 What these non leaders created in iraq deserves an Anti-Nobel prize for cruelty and child abuse. Both should be brought to the Hague as war criminals. Well do we remember the US Foreign minister Madeleine Albright on a 60 Minutes program being asked by leslie Stalhl if the 5000, 000 deaths by embargo were worth it. John Tirman, the principal research scientist at the MIT Centre for International Studies, has examined all the credible estimates; he told me that an average figure “suggests roughly 700,000”. 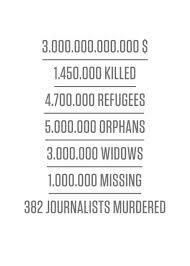 Tirman pointed out that this excluded deaths among the millions of displaced Iraqis, up to 20% of the population. For 13 years this inhuman blockade was carried out and suppressed by mainstream media. and children as precious as Kevin Siddall left this earth way too early. I watched children dying in hospitals, denied basic painkillers. there is something wrong with my eyes? In the west we weep as individuals for those in our community. Others as loved as our children are simply collateral damage. 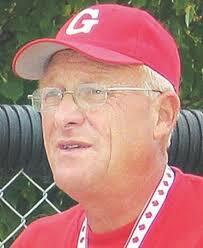 Canadian national team coach Jim Ridley will be inducted posthumously into the Canadian Baseball Hall of Fame this June. He was in my Hall decades ago. He will be the second Christie Pit Leaguer so honoured, following the Baron of the Pits, Carmen Bush, aka The Dictator or Il Duce. Can Archie French be far behind? Jim Ridley senior told Jim junior that there was only one place to play ball— with Columbus Boys. So he drove the Mimico lad to the Pits along with Davey Smyth, one of the smoothest gloves ever seen at the legendary park. Both were midget age. 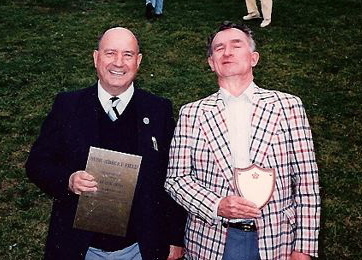 After three seasons with us and 2 city championships Jimmy turned pro and spent two seasons with the Milwaukee Braves organization in 1964 and 1965, Like many Canucks at that time, Jimmy had trouble with the curve ball and returned to Canada where he would have a significant impact on baseball as a national coach in his home country for the next four decades. He also scouted professionally for the Blue Jays and Minnesota Twins. Jimmy came to me in 1961 as a 16 year old from the Lakeshore. He and fellow Mimicoite Dave Smyth wanted to play junior ball though they were both midget age. I was in my first year managing for Carmen Bush’s Columbus Boys at the Pits. It was obvious from the get-go that Jimmy was a gifted athlete who could play anywhere. He could do it all — hit, run, field (great arm) etc., so I put him in centre field where he played the shortest outfield I have ever seen. Even though we had three midgets in the starting line up we won the city championship and repeated the next year. At Mimico High where I now taught Latin and English , I saw what a gifted athlete Jim was, excelling in both basketball and football. Sadly he was rushed into Junior B hockey too fast (15) and quit after one year. He gave his goalie pads to his buddy who lived behind him, Al Smith who went on to a 15 year pro career! And as Al acknowledged, he had half Jim’s talent. A cautionary tale about rushing kids. The last long conversation I had with Jimmy was in may of 2008 was in May when he called me from Montreal where he was scouting for the Twins. He was heartbroken that he could not get back for legendary umpire Archie French’s funeral. Jimmy and his folks loved the irrepressible Arch who would often arrive late at night in his cab and shine a light into the Ridley living room.It killed Jimmy being away when Arch whom he called “Woody” died. Rids never forgot where he came from. Jimmy was a gifted ball player, a gentle soul and a real gentleman. Never heard him swear in all my years knowing him! He sure was the pride and joy of Jim and Verna’s life. Coaching, when you get it right, you never have a losing season. You meet beautiful vulnerable people entering life at a formative stage. It is such a sacramental experience being there as a simple conduit for depth in human relationships. Winning and losing, the twin impostors pale in comparison to the cosmic importance of engaging another person, even in a sporting capacity. As the great Jewish mystic Martin Buber put it, “All real living is meeting”. Knowing James Beswick Ridley as I did was an enduring pleasure. 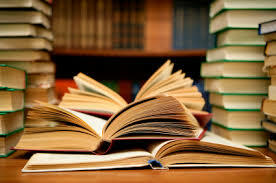 Accessibility to knowledge is the font of a vibrant democracy and as Mark Twain once opined “the person who will not read is no better than the person who cannot read.” But serious reading takes time and effort, in short supply in the carnival under advanced capitalism. Too many people either do not have the time or are caught up in the diversions which surround us—like the Stupor Bowl and the low calorie fare we can get plugged into on regular basis. The easily manipulated are cannon fodder for the hucksters. Good people can easily be propagandized by the cheap slogan or as Goebbels said, the repeated lie. Great wealth has suborned electoral politics in the US with rabid right wingers like the Koch brothers and Adelson pouring their coin into disinformation campaigns and lies—which are consumed by the poorly informed. You can easily make a silk purse out of a sow’s ear. Which brings us to the Ford brothers the deadly duo who have so embarrassed the city of Toronto. Nothing shows their terrible ignorance as the fact that they were the only two city officials who voted against an increase in funding for our libraries. And why not? It is obvious that they do not use them! Councillor Doug Ford gained notoriety when he stated that his Etobicoke ward has more libraries than Tim Hortons and added this piece about library activist Margaret Atwood “Well good luck to Margaret Atwood. I don’t even know her. If she walked by me, I wouldn’t have a clue who she is,” and let’s not forget his reference to “liberries” on a radio show. Late last night, Toronto City Council gave a huge vote of support for our public library! Council voted to increase the budget for our public library in 2014 and to launch a study to explore opportunities to re-invest in our library! It was almost unanimous – only the Ford brothers voted against. Thanks to you and thousands of vocal library supporters, our public library can move forward with confidence and stability and hope for the future. I am humbled by your support for our public library and delighted with last night’s result! Thanks to you, we stood up to those who would diminish our public library and we won! OurPublicLibrary.to is a network of people dedicated to preserving the integrity of one of the world’s greatest public library systems, the Toronto Public Library and is sponsored by the Toronto Public Library Workers Union. 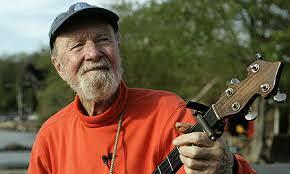 The recently deceased American folk music legend Pete Seeger joined the Boycott, Divestment and Sanctions (BDS) movement, a Palestinian movement which seeks to put economic and political pressure on Israel. This fact you will not find in most obits. According to the Israeli Committee Against House Demolitions (ICAHD), the American musician expressed regret for his previous support of an event sponsored by the Jewish National Fund (JNF) and threw his support for the BDS movement at a meeting in New York last month. 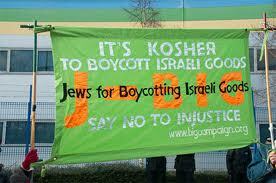 “I support the BDS movement as much as I can,” according to ICAHD. Seeger’s donations to ICAHD went to rebuilding Palestinian and Arab homes demolished by Israeli authorities, according to the organization.